Climate change humor (and a play on Donald Trump’s slogan). 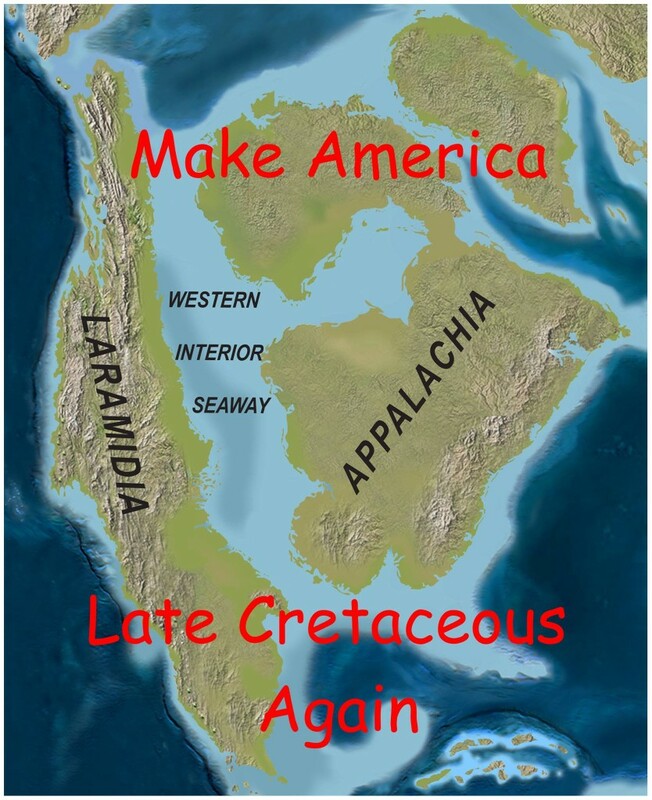 The late Cretaceous period was 66-90 million years ago, and during that time there was no ice on the planet. CO2 levels in the atmosphere were about 1,000 ppm. Because it was warmer, and there were no ice sheets on the planet, sea level was considerably higher. 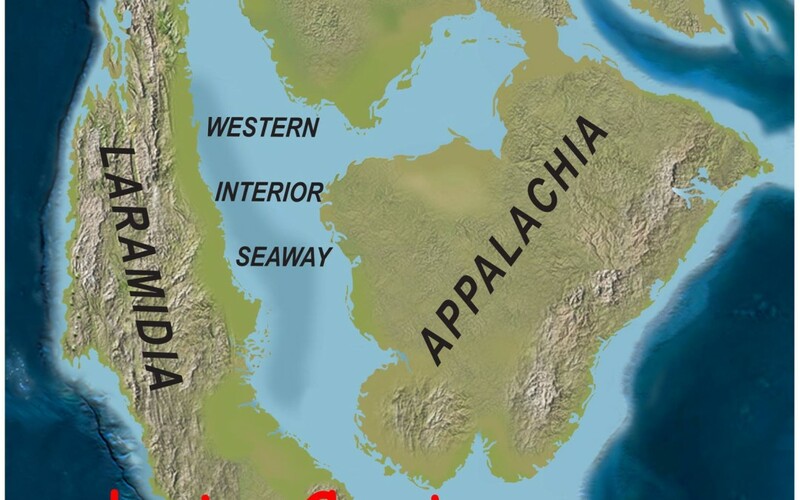 As you can see from the map, the United states was split into two chunks, with the Western Interior Sea dividing our continent in two. In the past 150 years, humans have raised CO2 levels in our atmosphere from 280 ppm to just over 400 ppm. The level is currently rising at about 2ppm per year. If we continue to burn fossil fuels on our “business as usual path”, CO2 levels could be as high as 1000ppm by 2100. It will take many hundreds of years for all the ice to melt if that happens, but it will put the Earth on a path to an ice-free future once again. It’s a whole new world we’re creating… or perhaps, we’re recreating a whole old world from 90 million years ago.